Thunder Bay Public Library Website - Sencia Canada Ltd.
Thunder Bay Public Library provides library services through 4 locations across Thunder Bay. They enable our community to learn, grow and be inspired through books and learning! TBPL also regularly provides and hosts educational workshops, activities and events. 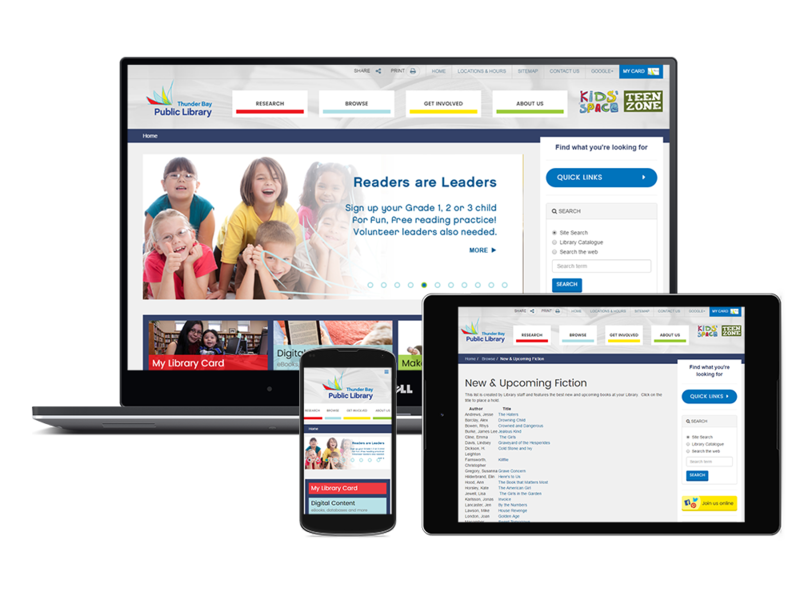 Sencia had formerly worked with the Thunder Bay Public Library (TBPL) to develop their website and two separate sections; Kids’ Space and Teen Zone, which were designed by external sources. 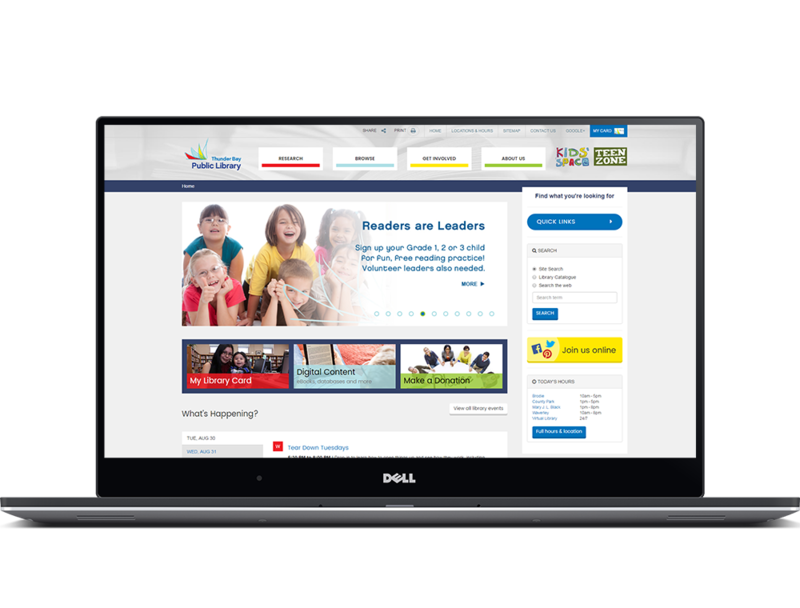 The website was developed on SIMS Content Management System and hosted on our local servers, providing high security and daily backups. In late 2014 Sencia was approached to assist in a redevelopment project which would see TBPL’s website as a responsive website, meaning the website would adjust to any size device it was presented in. The project also involved Sencia streamlining TBPL’s core website design. Sencia designed an inviting and streamlined new look for TBPL. Content was migrated and synched with their original website to ensure any new updates on their original website that were made during the development process would be transferred to the new website upon launch. Their original Kids’ Space and Teen Zone subsites, which were already developed by Sencia on SIMS, were transferred over as well along with their online library catalogue. 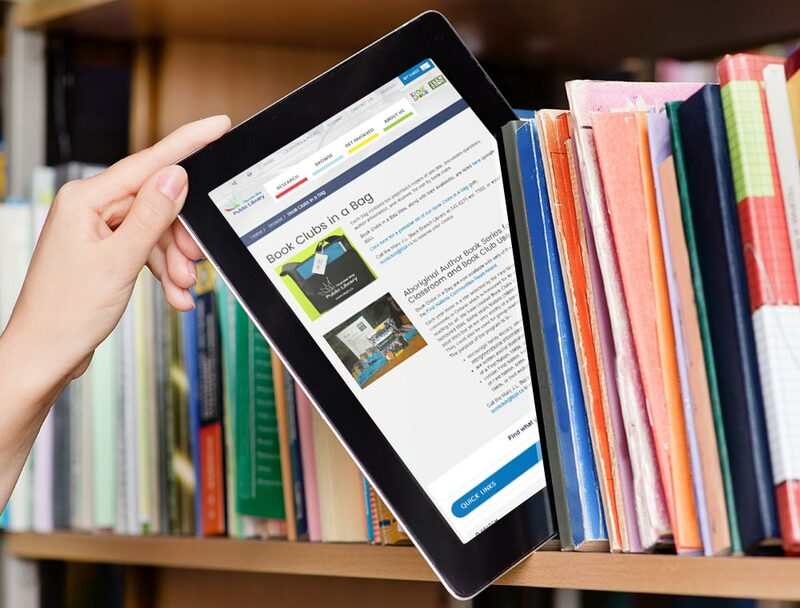 The Thunder Bay Public Library launched their redesigned website on August 17th2015. The new website features a cleaner, more accessible design which provides reach to an even greater audience. "We are very happy with our website. The new responsive design is working well and meeting our needs as more of our visitors are using mobile devices. I appreciate the flexibility of the site, which allows us to add and remove articles as we need to. Your support ticket system is very efficient and any small issues that have arisen have been resolved quickly. I'm looking forward to working with you in the future as our site continues to evolve."